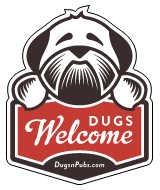 Dog Friendly Places in St Fillans, Perthshire. As a pet friendly hotel our Canine Reservation Managers insist on no overnight charge, and furthermore we welcome dogs with a Bonio on arrival, so please enjoy. There are a total of 1 dog friendly listings in the St Fillans category. Please log in, or sign up as a member to view all listings.